02.05.2015. Leicester, England. Barclays Premier League. Leicester City versus Newcastle United. 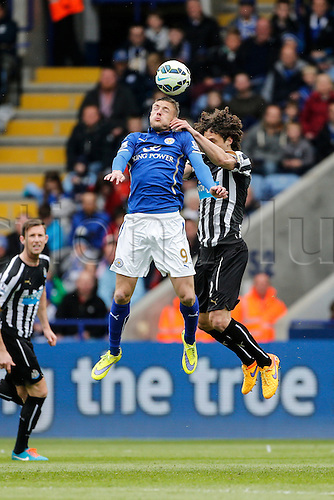 Jamie Vardy of Leicester City and Fabricio Coloccini of Newcastle United compete for a high ball.